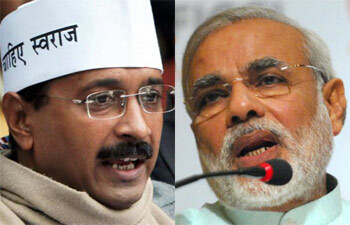 Will Arvind Kejriwal defeat Narendra Modi in Varanasi? Purpose of Language is for communication If it serves the purpose its good if not then not good Does not matter what one think as pure! Yes the people of India have been duped by the Nehru/Gandhi dynasty for almost the entire length of our independence. But you seem to have very little faith in the common sense of an average Indian. Legalising terrorist activities cannot be done as easily as predicting it happening. The international community will never allow India to go along that route. India's progress depends on the rest of the world (rich world) investing in India. And in country where mayham rules, as you predict, this is very unlikely. What exactly is Modi supposed to do to convince cynics remains a very highly speculative subject. But until he imposes his dictatorial credentials, as you seem to think, if he has the backing of the country through a parliamentary majority, then he should be given a chance to prove himself. AS for massacring over 20% of the population, the last time this was attempted we had the second world war.